Yep, the title of this article is not a joke: if you're heading to London's Heathrow International Airport in the next two weeks, you mind end up passing through Terminal Samsung Galaxy S5. That is to say, Samsung has used their gargantuan marketing budget to rebrand Terminal 5 to include the name of their flagship handset. This isn't just a renaming of the terminal, as every sign and digital screen in the building will be updated to say 'Terminal Samsung Galaxy S5'. All signage will be accompanied by images and promotional material relating to the Galaxy S5, so you'll be figuratively bombarded by the smartphone. 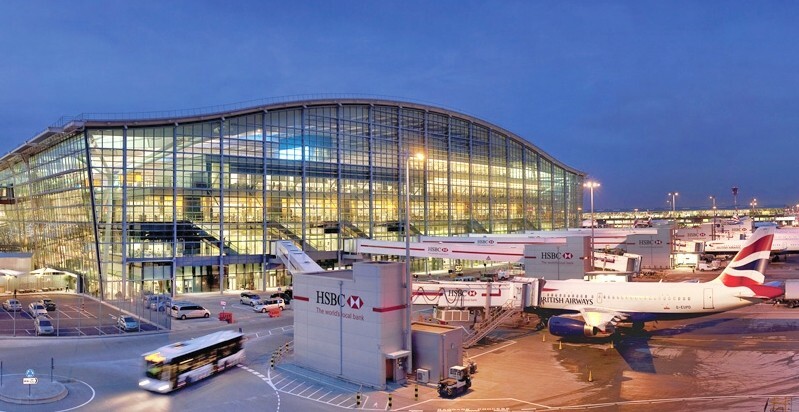 While Samsung hasn't been allowed to purchase official naming rights for the terminal, the extensive marketing campaign is being described as a "one-off opportunity" by Samsung's UK marketing VP, Russell Taylor. In fact this is the first time a company has been allowed to rebrand the name of a Heathrow terminal. Taylor didn't disclose just how much the campaign has cost the company, but undoubtedly it'll be a small fortune, especially considering Terminal 5 is one of Europe's largest and busiest. Luckily Samsung is still recording huge profits, and will have no trouble spending this sort of cash. Yesterday, Samsung revealed that they have sold 11 million Galaxy S5s since the launch of the smartphone one month ago, outpacing the Galaxy S4's sales by 10%. You have to wonder just how many more units they'll be able to push through this new marketing campaign.